Did you know that a whopping 71% percent of small businesses use social media, and a further 16% plan on using it in the future? Social media and business have become somewhat synonymous with each other in the past five, ten years. In fact, more and more businesses are striving to learn how to effectively market themselves on networks like Instagram, Facebook, and Twitter. I hear businesses discussing and questioning the benefits of social media all the time. Social media is one of the best ways to get small businesses to get seen. It is everywhere, and everyone is on it. Whether your business is already on social media or is just now contemplating it, you can follow some best practices to make sure you get started in the right direction. The first step to making social media work for your small business is deciding what you want to accomplish from it. Without a true goal, you might find yourself wandering aimlessly in too many directions and trying to accomplish too many things. In a worst-case scenario, you could even end up putting off customers instead of drawing them toward you. For instance, you might post too much on several different topics, which might make it appear like you’re rambling without true intent or purpose. Or you might end up creating irrelevant content that actually works against your goals. Without a goal, social media can be confusing, frustrating, even discouraging, because many people don’t know where to begin. Many of these businesses are the ones that have inactive profiles, which defeats the entire purpose of creating a social account. Conversely, when you know what you’re working toward, it’s easier to take steps, even if they’re small ones, in the right direction. Whether your goal is to grow your online business or to simply foster awareness for it, creating a marketing plan is a great way to map out goals. A solid plan will help you outline what exactly it is you want to achieve, whether that’s increasing your conversion rate, attracting influencers or something else. 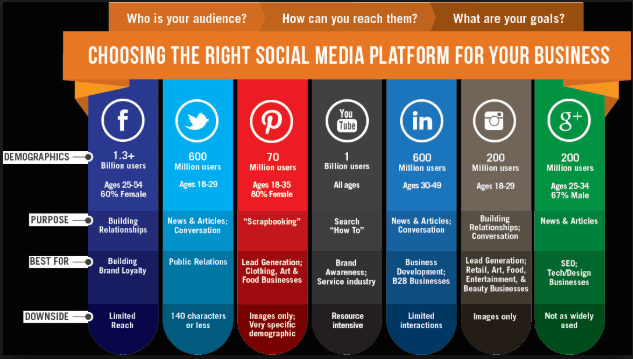 After this, you need to choose which social media platform is right for you. When you’re doing this, keep a few things in mind. Where are you most likely to find them? Are they the professional types and likely to be on LinkedIn? Or are they Millennials who like photos and videos, like on Instagram? Second, think about what type of business you’re in. Do you sell a product that can easily render well in pictures, like furniture, cars or paintings? Or do you sell something less tangible, like ideas or consulting, that would be easier to write about than show? Once you decide which ones you want to join, it’s time to think content. Just having a social media page isn’t enough. You have to make sure you’re creating the right content for the one you choose. 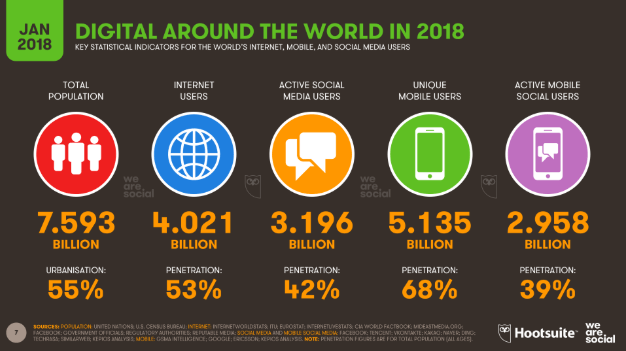 For example, Facebook is the most popularly used by businesses and is the choice for 86% of businesses followed by Instagram at 48%, YouTube at 46%, and Twitter at 44%. However, the content you’d post on Facebook is very different from what you’d post on a platform like Twitter. Each platform attracts audiences in different ways, and each has its own sets of rules and limitations. Let’s start with Facebook for instance. It lets you post a lot of content and also gives you options to upload pictures and videos, but organic reach for Facebook is under 2%. Instagram is less about lengthy posts and more about telling stories through photos and videos. Twitter is perfect for short, effective messages and it has character limitations to make sure Tweets stay short and sweet. LinkedIn gives your business a standing ground among a community of professionals. Because these networks are different from each other, the kind of content you select for each platform will also be slightly different. For example, if your business sells personal hygiene products and is marketing a new face wash, you could vary your content style across different platforms. For Facebook, you could write a post on the product and include a picture of it or do a Facebook Live Video to demo it, which you can also embed on your blog, if you have one. For Twitter, you might do a short, impactful promo with a link to more information. For Instagram, you could create a video, show before and after pics with a quick blurb. Or you might put together a powerful infographic related to the product. The type of content you create should cater to the platform you’re using and what’s most effective on it. There are many things you could focus on to attract customers to your page. For starters, how your page looks makes a difference. To make your profile as appealing as possible, use a quality cover photo relevant to your business. For instance, if you sell basketballs, a picture of an abstract painting probably wouldn’t be the best profile picture for you, unless, of course, it’s somehow relevant to the basketballs. If you’re a bookstore, you may showcase pictures of your favorite titles. If you run an art gallery, you could display photos of your best or most popular works. Visuals aside, grammar and spelling errors can make you look sloppy, no matter how polished and great your profile picture. Ultimately, your page is a reflection of your business and brand, so keep it clean and professional. Another tactic to draw clients to your page is by promoting freebies. Everyone appreciates complimentary gifts, so if they have a chance to win something they’re more likely to visit you—and help you gain some foot traffic. As an example, salons might offer a free haircut for visitor number twenty, or you might be entered in a drawing to get a makeover if you spend over a certain amount. Before you encourage these visits, be sure to set up geotagging on your Facebook business page. 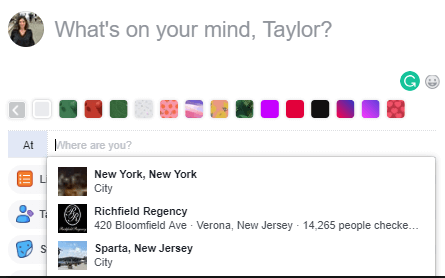 This feature lets people check-in and out when they’re at your business, letting everyone in their network see that they paid you a visit. Geotags are the best kind of free advertising there is. Having someone else, especially a satisfied customer, advertise you is much more effective than you advertising yourself. When you show up on a social platform because a customer tagged you, this not only motivates others to consider giving you their business, but it also builds your credibility in their eyes. To encourage customers to check in, consider offering incentives, such as $5 off a product or service. In the end, the tradeoff will be more than worth the gains. 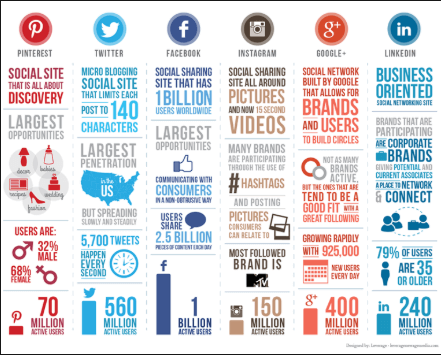 Just like traffic is key to your website, the same is true on social media. You’d be concerned if your website traffic dropped, and the same should be true of your social media site. What would your target audience Google? Which words and key terms would they naturally use? How would they structure their query? Use those keywords in your content, such as on your blog and social media posts. Then pay attention to your headlines. Make sure they speak directly to the client’s question or curiosity. Finally, don’t simply post—be data-driven. Look at which posts are working well and which ones aren’t. Tracking your progress is simple. For each post, analyze the number of likes/retweets, comments, favorites, follows, clicks, and shares. Collectively, these make up what’s known as your engagement. The higher your engagement, the better, because high engagement means people actually like your content. One of the most powerful tools you have in your social media arsenal to drive traffic are hashtags, because they help direct the right people to you. 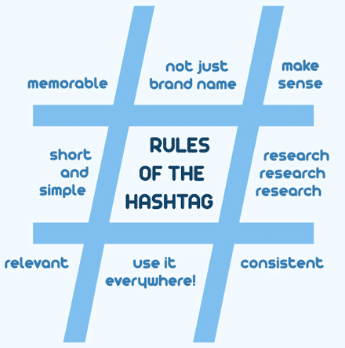 The great thing about hashtags is that they’re indexed within the social media platform and can be searched by other users. For instance, if a user queries a hashtag that happens to be in your post, your post will pop up in their search results. That’s why using hashtags effectively can help you see great engagement and performance for your posts. Being regular on social media is a key factor in being successful on the platform. But posting and creating content on a daily basis can grow challenging, especially if you’re trying to do it spur of the moment. Using a content calendar can help you stay organized and map out your content. Tools like Trello and Evernote are effective for helping you stay on top of tasks and keep track of notes. For pictorial and design, RelayThat and Canva are great resources. As you’re planning out your content, think about which topics would interest your audience, how often you should post and which days and times. Believe it or not, there’s a science behind social media, and it all boils down to timing. 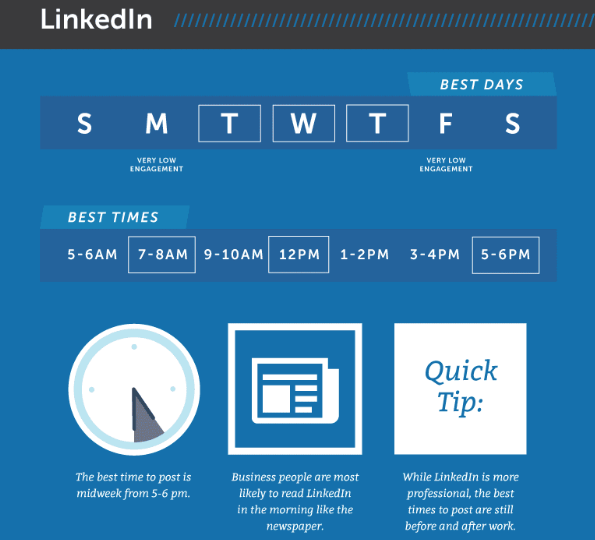 Research what day and time your posts will get the most visibility. 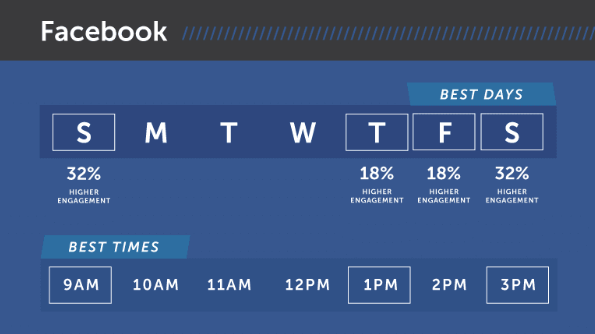 For example, Facebook is most effective Thursday through Sunday. Twitter is best on Wednesdays and Pinterest works well on Saturdays and Sundays. 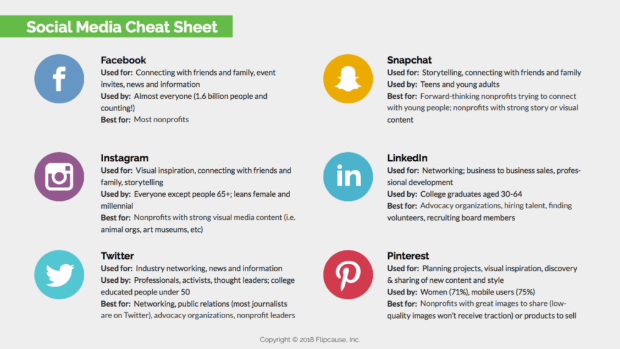 Tools like Buffer and MeetEdgar.com are effective in helping guide you to schedule the right posts at the right time for each platform. Strategizing your posts in this manner can help you maximize the number of views and engagement you get from each. Another easy way to make sure you’re active on social media is by engaging with other users instead of just waiting for someone to interact with you. Mingling with and talking to others on social media platforms makes your business feel like an entity that is friendly and human, which is exactly what attracts consumers and followers. In this day and age, businesses can’t afford to forgo the power of social media. In many ways, it can be the key to helping you achieve several goals, like effectively marketing to your target audience, creating a powerful brand, and drawing customers to your business. Being effective on social media, however, takes a little more setting up an account and creating content. In addition to having a defined goal, you have to create the right posts at the right time for the right social media platform and be consistent. 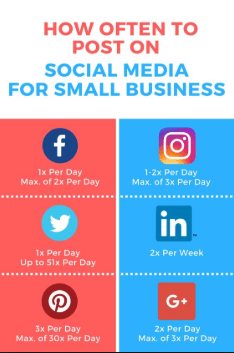 By using the tips in this post, you’ll be well on your way to setting the right foundation for your small business’s social media efforts. Keep in mind, making an impact through social media isn’t difficult. But it does take focus and a few minor adjustments every now and again before it’s smooth sailing. This account is shared by the Credo team.